New this term on Fridays! 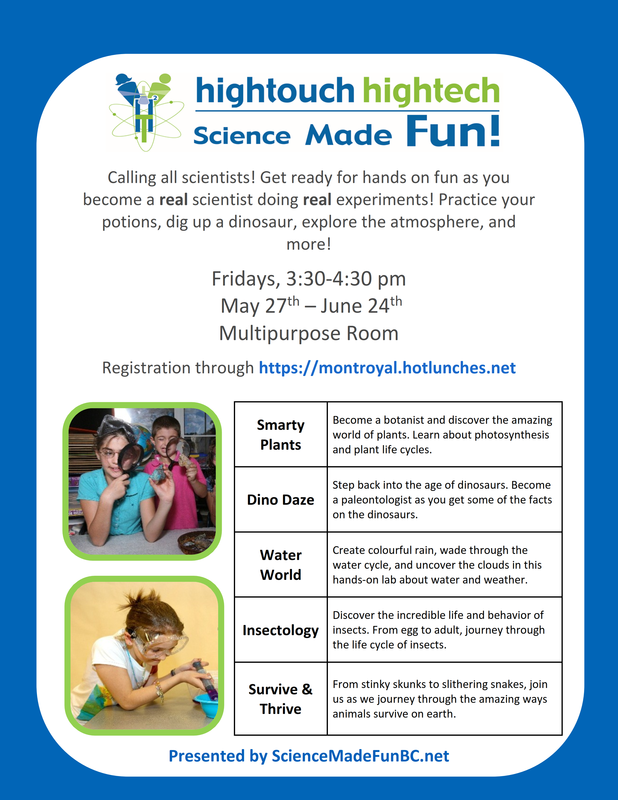 We have selected topics not explored by Mad Science so come and learn something new. Please note this program requires minumum of 10 students to register in order to run so invite a friend and join. Click on the poster to register!